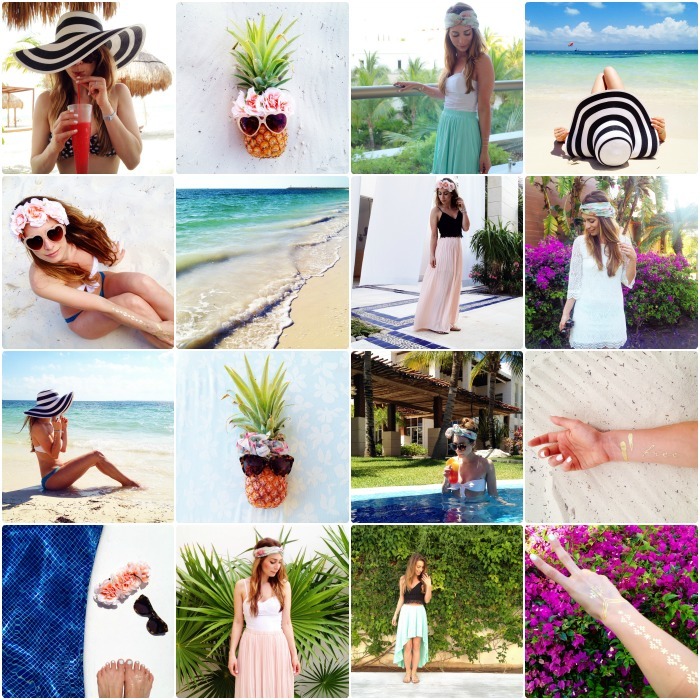 What I Packed For Mexico Using Only Carry On Luggage | La Petite Noob | A Toronto-Based Fashion and Lifestyle Blog. I have a place reserved in my heart for all things tropical. Whether it be Mexico, The Dominican Republic or Cuba Brian and I try to get away once a year to a warm paradise. Now, after I showed you how I traveled through Italy for nearly 3 weeks using only a carry on luggage it would be only natural to do the same thing for my recent trip to Mexico right? Right! 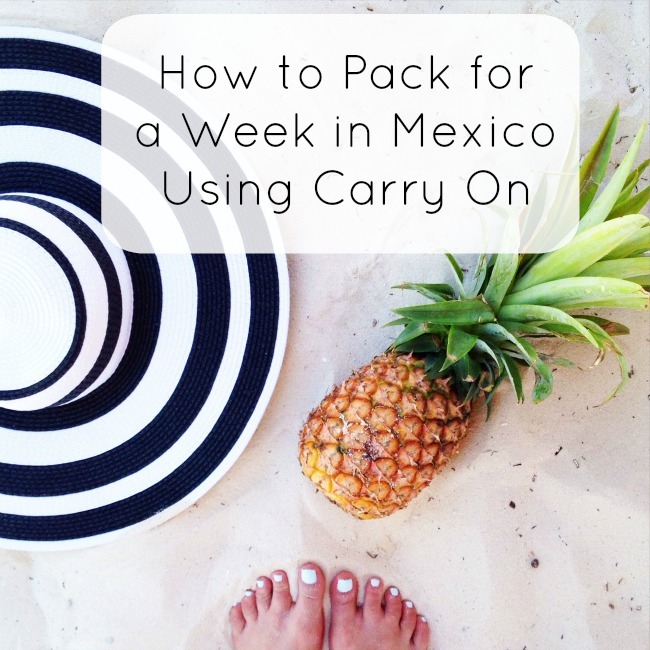 Read on to see exactly what I packed for our Mexican resort vacation, the outfits I created and some tips and tricks for traveling to a tropical destination using only carry on luggage. You decrease your travel time significantly. Those of you who have spent any time in the Cancun airport can feel me - it's chaos! Not having to wait around for your luggage to come out on the conveyer belt saves you at least 20 minutes (if not more), and means you're on the beach sipping a margarita that much sooner. It's cheaper - most airlines now have a fee for checking luggage, adding as much as $50 to the price of your plane ticket. I love the ease of just slipping into a beach dress and having an outfit, just like that! 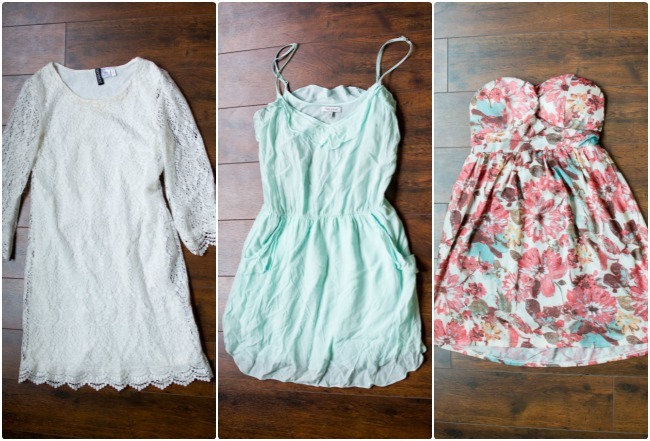 Bonus points for those that can double as a cover up for your bathing suit at the beach or pool - I used the mint green dress in the middle as a cover up most days, and it easily took me from the beach to lunch. I love bringing maxi skirts with me to tropical destinations because they can easily be dressed up or down, and are extremely comfortable. I typically reserved my maxi skirts for dinner, and created unique looks every night by changing up my tops and having fun with accessories. 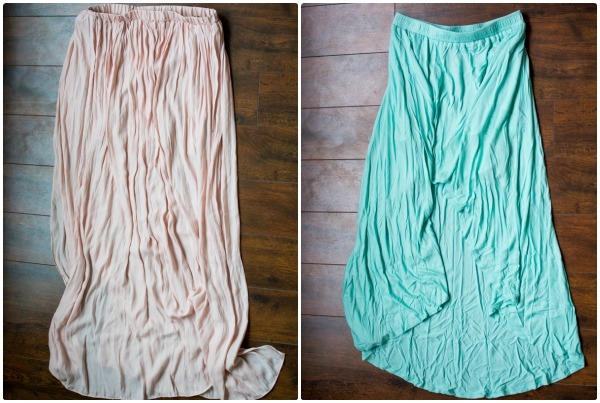 I chose to pack two basic tops, knowing that both would work with either maxi skirt. The black top is quite cropped, so it completely changed the look of each skirt once I pulled it up to sit higher on the waist. You may be thinking to yourself "only two tops, that's crazy," but since I used scarves as tops during the day I really didn't feel like I needed to pack more. Well, technically three and a half bathing suits since I packed an extra top to mix in with the others. Back in the day when I used to overpack for every trip, I would insist on bringing every single bathing suit I owned with me. Now I know better, and have learned to interchange the tops and bottoms of only a few bathing suits to create the look of having brought many more. The one place I didn't restrict myself was with my accessories. I made sure to include different printed scarves that not only kept me warm in the evenings but also doubled a tops, beach coverups and hair wraps. I wore the wide brimmed hat on the airplane and it was essential for keeping me covered up in the sun (and looked great in photos) and yes - that is a flower crown you see. #Yolo, right? The one thing to mention is that I only packed flats to bring with me to Mexico. 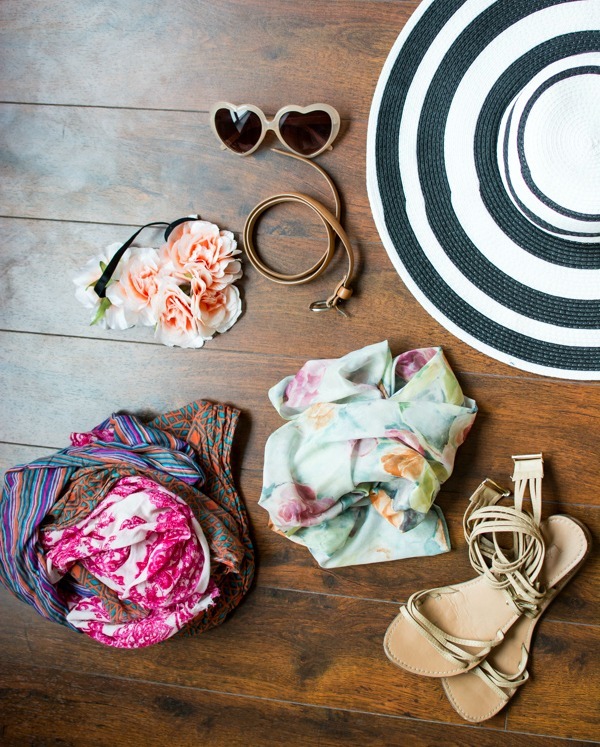 Should I have opted to include a pair of heels or wedges, I would have worn them on the airplane - easy, and doesn't impede on the space in your carry on! I hope that you found this helpful, and you're now a convert to packing for tropical trips using only carry on luggage! Let me know if you have any questions, or any tips you want to add - I love talking packing! Great packing skills! Hope you had the best time ever. You're pics are just amazing! Thanks Gabriella, I had a great time! Thanks Kris, I can't wait to see what you bring on your trip to San Fran! You are such a pro packer!! Great tips. My problem is I decide on things to pack then just keep adding "just in case" haha. I totally used to be like that too Aleicia - until I realized that I hardly ever touched the "just in case" items on the trip lol! It's still hard to not want to bring extra clothing with me, I have to fight the urge every time. Love this! And love all your instagram pics :) I need to attempt this on my next trip...or at the very least try and start packing A LOT lighter - baby steps! Haha sounds exactly how I used to be Claire - I still have to fight the urge to overpack! The good thing is that choosing an outfit for the day is pretty simple since there's only so many things you can do! I haven't checked luggage for nearly 3 years! It's just SO much simpler. I'm impressed by your eye for creating outfits! Amazing! I've just become a carry-on convert this past year. What are some strategies you use to travel light? I admire you for being able to take such little quantity of clothes to a trip. I'm the type of person to always wear the same clothes that go with everything but when I go on a trip I always have the same fears. 1. It will be cold and I will need sweaters/jackets. 2. They will stink if I wear them multiple times. 3. What if I go for a sportive activity and I need sport shoes or what if I need high heels. I hope you inspire me for my next trip in july !